Yesterday, the 2015 legislature officially convened here in Des Moines. 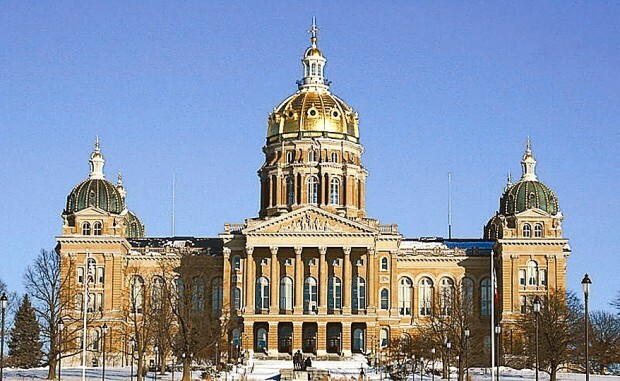 As is often the case, pro-abortion lobbyists and activists were circling around the capitol like blood-thirsty vultures, as they hope to maintain Iowa’s laws that allow abortion-on-demand in almost every circumstance. Of course, Iowa Pro-Life Action is also preparing for battle in the 2015 session as we plan to introduce the Life-at-Conception Act which would legislatively end abortion in Iowa, once and for all. Too many times, the pro-life movement has been told what we have to accept. We’re told that we can “manage” abortion, that we can “regulate” abortion, and that we can tinker with abortion laws around their edges. Iowa Pro-Life Action, and pro-lifers across the state, simply rejects these assertions! We are here to end abortion – period – or make sure that those legislators who oppose us get exposed at election time. And of course, this is exactly what we’ve been doing at Iowa Pro-Life Action for the past several months: exposing radical pro-abort legislators in key districts, so that pro-life voters would knew who to support this past November. I can’t tell you how happy I am to see that some of these radical pro-abort legislators are no longer supporting baby killing in Des Moines. One such person is FORMER Senator Daryl Beall. Beall, who had long supported the radical pro-abortion movement in Des Moines, even supporting taxpayer funding abortions, over and over, was kicked out of office by a vast margin after pro-life voters learned about his atrocious record when it came to the lives of the unborn. And of course, Iowa Pro-Life Action was also able to expose the beliefs and principles of want-to-be legislators over the past few months as well. Armed with this information, pro-life voters made the decision to elect pro-life candidates who had signed the Iowa Pro-Life Action candidate survey 100% pro-life. Which brings us back to the task at hand – the Iowa legislature is in session and NOW is the time for you and I to fight for the unborn! In the coming days we’ll be telling you about the Life-at-Conception Act, and what you can do to help us get the legislature on the record for this important legislation. >>> Take a moment to find out who your State Representative and State Senator are is. These are the men and women whom God has put in these positions for such a time as this. Our job is to make sure that they remember why they were elected! >>> Take a moment to “Like” the Iowa Pro-Life Action Facebook page! In politics, things move extremely quickly, sometimes too quickly for us to be able to even get an email sent to our supporters. However, if you are actively involved in the Iowa Pro-Life Action Facebook page, you will get up-to-the-minute updates about the important issues facing the unborn in the Iowa General Assembly. When you’re done, please take a moment to encourage all of your friends and family to get involved with the Iowa Pro-Life Action Facebook page, as well. Thank you for all you do in helping us fight for the unborn! Get ready for a very busy legislative session — the babies are counting on us. P.S.Just moments ago, the gavel came down to begin the 2015 legislative session in Iowa. As always, radical pro-abort lobbyists and their allies are already circling the State Capitol, trying to make sure that babies continue to die here in Iowa, for the “crime” of being inconvenient. But these pro-death forces are a little bit light this year, as mobilized pro-life voters have booted out some of the most radical pro-abort members of the legislature in the November elections. Now is the time for us to band together to make sure that we get the legislature on the record once and for all to see who supports the right to life, and who does not. Please take a moment to “Like” the Iowa Pro-Life Action Facebook page today and get acquainted with who your State Senator and State Representative is.